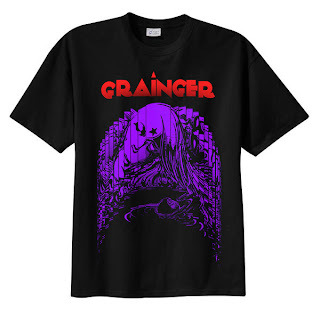 We've now SOLD OUT of all our XL and MEDIUM "GRAINGER" shirts. Just a few left in SMALL and only one left in LARGE. We won't be repressing these, so if you want one, get 'em before they're gone. UPDATE 3-15-11: We are now sold out of Large "Attacknine" T-shirts as well.